If you think the Civic Coupe looks like fun, just wait until you get behind the wheel – They have 40 Honda Civic 2017 for drawing), also $5000 Prepaid Cards and Millions of other Prizes available to be WON. Sponsored by The Tim Hortons Advertising and Promotion Fund Inc. You can play the online game or RRRoll Up in Tim Horton’s Restaurant across America. So much prize to win. With the Rockin’ RRRoll Up Replay Online Roulette Contest you can play online at rolluptherimtowin.com or with a mobile phone at m.rolluptherimtowin.com and be the lucky winner of one their Instant Win consisting of great prizes “The“Game Period” starts on February 1, 2017 and ends on Game ends on April 14/17 or while contest cup supplies last. The following instant win prizes are available to be won at the beginning of the Contest Period: a. 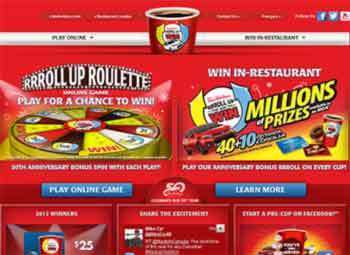 200,000 free hot beverage prizes consisting of 2 one-time use Tim Hortons coupons – www.rolluptherimtowin.com. Go to www.rolluptherimtowin.com or m.rolluptherimtowin.com (the “Website”) on your mobile device and click on the link to enter the Rockin’ RRRoll Up Roulette™ Online Contest. Supply your name, complete address, telephone number (including area code), time zone and e-mail address – 2016 Honda Civic EX-T Sedan vehicle prize. 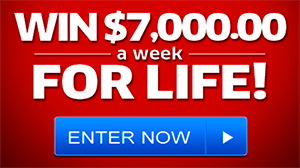 Limit One Entry Per Person Per Day During The Daily Contest Period. See official page Roll Up The Rim for rules and prize details. Good Luck! May you be blessed in abundence. My place in all of this joy is to be able to be on my mission to help others in one way or another as,jesus does daily through others and that is be on a mission for others. To publisher clearing house crew.the most awesome gift is for you all to show up at my front door..to have my grandchildren by my side to share this experience will be the best gift of our life time…i want and need this to happen so that we all will live with no worries .God bless you all at publishers clearing house where you do make dreams come true.thank you. Could you please tell me what CAPTCHA ERROR ?? Every time I try to use the site it won’t let me use anything about it. I am registered but it won’t let me use it. I need help. Everyday is a new adventure. Finding new sweepstake sites and entering in it. To all the enter in any of the Sweepstakes. I would like to say “Good Luck”. Thanks to PCH that we have an opportunity in winning and its free. I entered Juliette your Sweep Stakes for the roll up Rouliette now we just wait and if we win i will let you be the first to know God Bless You have a great night .